Zanki Zero: Last Beginning was one of the biggest surprises for me at GDC 2018. 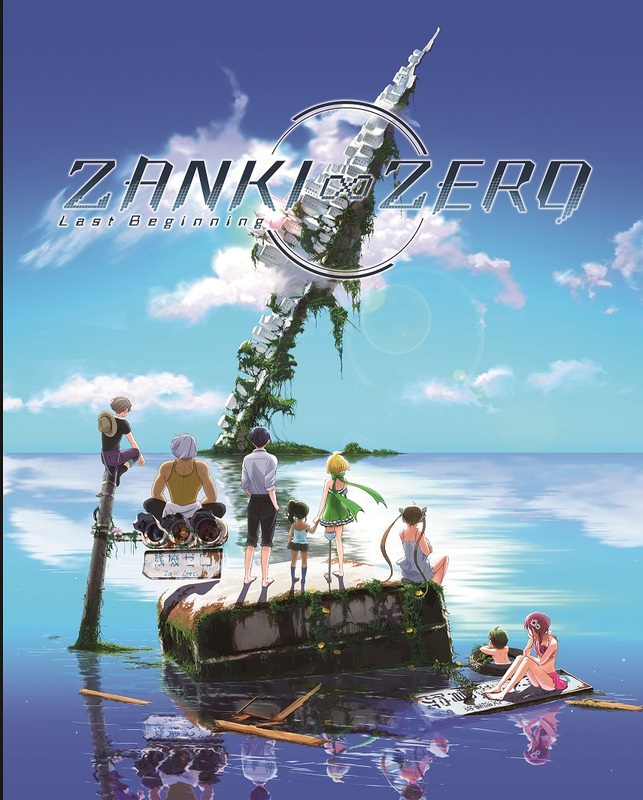 In Zanki Zero: Last Beginning, the latest game from many of the team behind the Danganronpa series, humanity has destroyed the world as we know in the span of only one day, and thus the game is set in a deceptively bright and gorgeous post-apocalyptic world. God may have created the world in only seven days…But it takes man just one to destroy it all and leave behind a gorgeous wasteland. (Images courtesy of Spike Chunsoft). In this setting, the game stars eight protagonists, all different clones, who each represent one of the seven deadly sins and Original Sin. Each clone protagonist will only live for thirteen days apiece, and as they grow older, their individual stats and abilities change. The thirteen-day cycle does not advance based on an in-game or real-life timer, but instead advances for different characters each time you change floors inside of a dungeon. Each time one of the characters dies (from old age, in combat, etc), you can earn a bonus upgrade for that clone’s next life cycle as they also retain all of their memories from their prior life cycle. Not all is gloom though: there are also moments of levity in the game through Extend TV, a TV show that features two cartoon characters that play off of each other in almost an Abbott and Costello manner while simultaneously serving as a point of world exposition in a very non-intrusive or patronizing way. All eight protagonist clones advance from youth to old age during a life cycle that spans thirteen days. 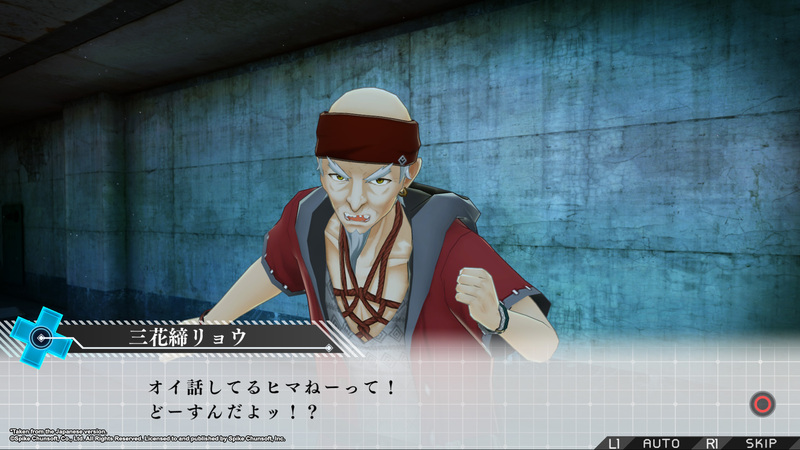 (Images courtesy of Spike Chunsoft). Combat in this game is first person and comprises of a team of four that you pick out of the eight protagonists. 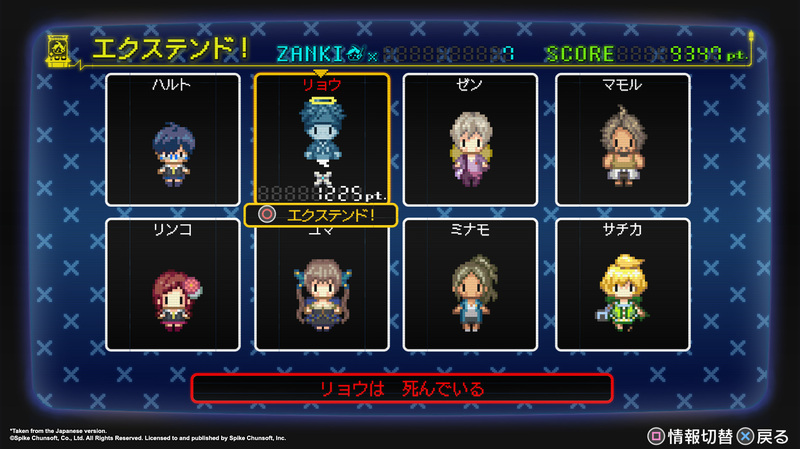 You equip weapons, and you attack your enemy as you cross the various in-world maps of Zanki Zero: Last Beginning. You can also link various character attacks together in a ‘Charge Combo’ that is a lot more powerful than individual attacks, and it was really satisfying when this occurs and you can almost instantly kill off an enemy. 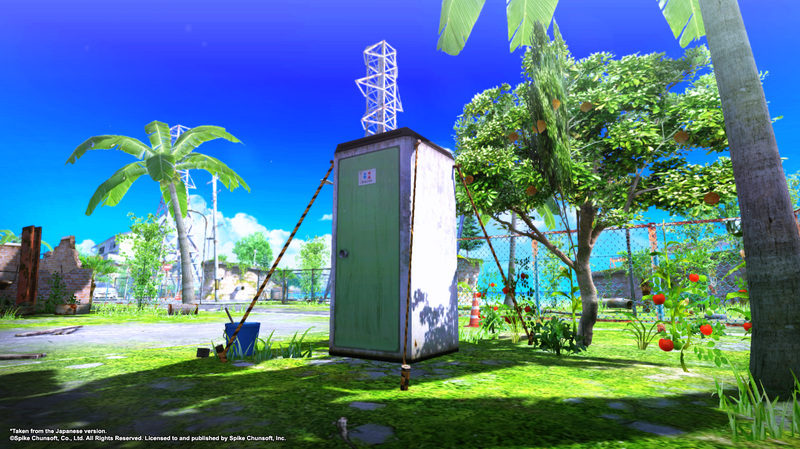 Overall, combat in Zanki Zero: Last Beginning appeared to be a fairly simple system, but it is one that works well from what I can tell. In addition, the world is uncovered in a dungeon-like manner: As you cross more parts of it, more of the area map is revealed to the player. 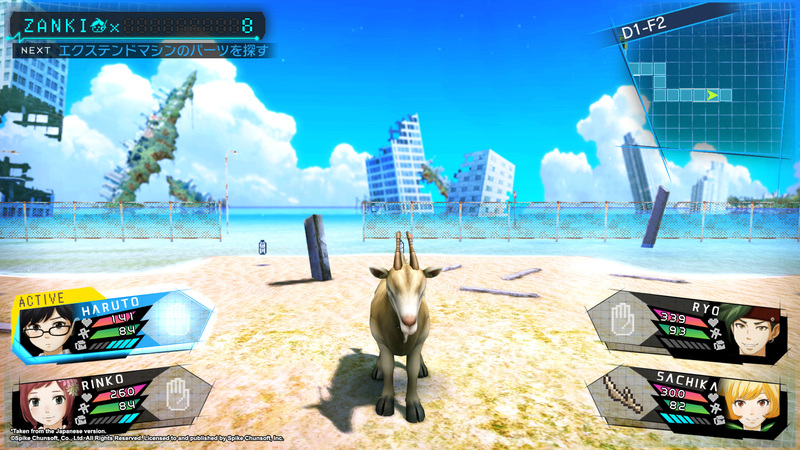 The combat is in first person mode, and you just select the attacks of your four party members to occur. (Image courtesy of Spike Chunsoft). A ‘Charge Combo’ attack with all of the party members attacking together. (Image courtesy of Spike Chunsoft). 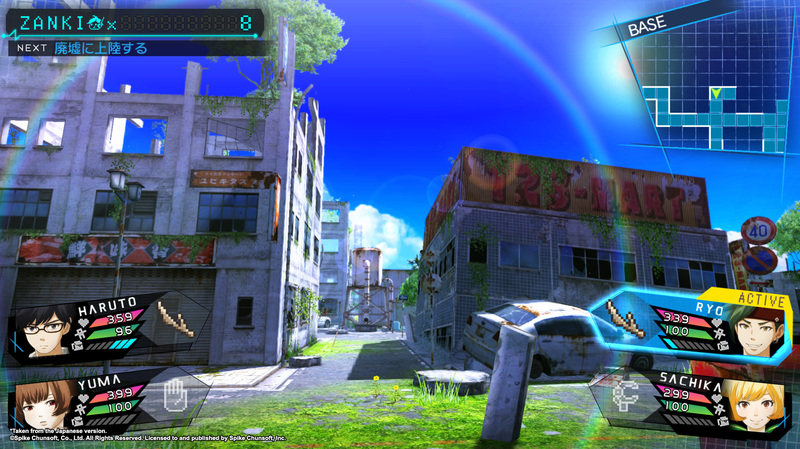 However, combat is not the central focus of Zanki Zero: Last Beginning as-so-much as it has a heavy emphasis on the more mundane parts of survival. The characters all have different levels of stamina, tiredness, hunger, and a need to go to the bathroom. And all of these factor into how well your characters will do in combat, the individual length of the character’s lives, and just in the game in general. In addition to all of this, you have to build places, such as a bed and a bathroom and a kitchen, with materials that you gather from around the ruined world in order to help keep your characters alive. Just from my brief time with the game, it was clear that this is a game that has a lot of minutiae in it, and that if you just expect to blaze through Zanki Zero: Last Beginning with little regard for the health and comfort of your clone protagonists, then you’re going to just lose badly and repeatedly. 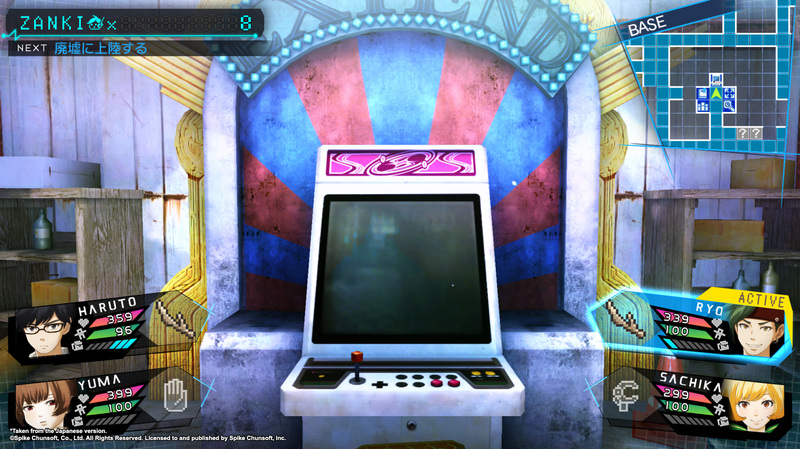 It is also worth noting that the more I saw of the characters and the world, the more I was drawn into the world of Zanki Zero: Last Beginning and I began to get (even during my brief time) invested in how they grow and change as they interact more and more with each other through the storyline as they are reborn again and again through the Extend Machine. The Extend Machine, show in the above two images, is how you start a new life cycle for a dead clone. (Images courtesy of Spike Chunsoft). 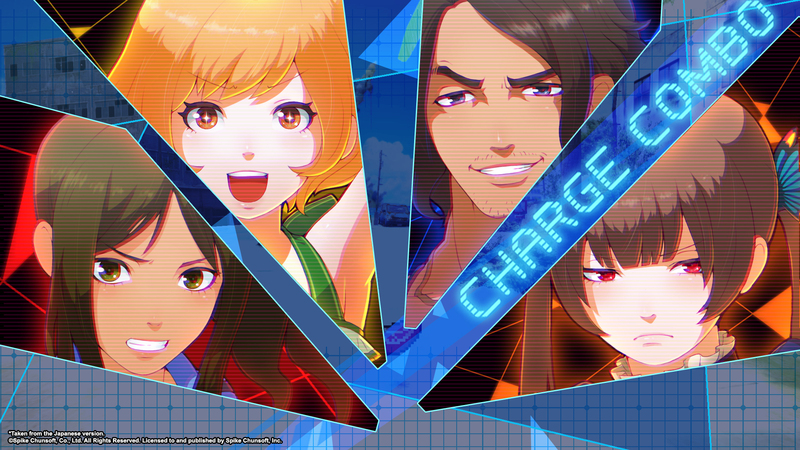 Zanki Zero: Last Beginning is coming out for Summer 2018 for the PlayStation 4 and PlayStation Vita in Japan, and will be released at a date yet-to-be determined in North America on the PlayStation 4 and Steam. (Sorry North American PlayStation Vita fans…). 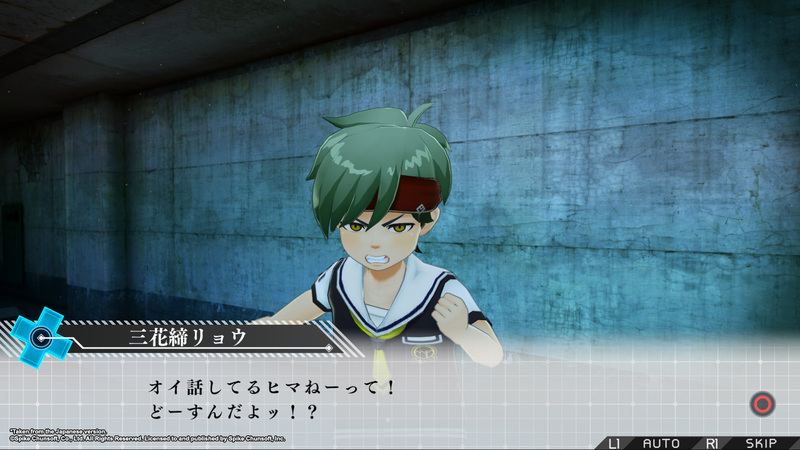 Are you looking forward to Zanki Zero: Last Beginning? What ‘sin’-based character are you most interested in finding more out about?